Firstly, there's a useful, well written examination of Permaculture ethics and design principles. These things underpin the author's garden so it's valuable to have this frame of reference when you're browsing around the website. Reasons are clearly explained and no knowledge is assumed but it avoids being patronising. I find the detail reassuring, it feels like nothing has been left out, all angles considered. 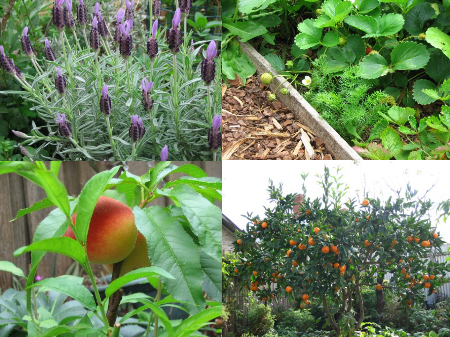 Lastly, there's a blog about the design, construction and development of the author's own suburban garden with over 150 perennial plants that are either edible, medicinal or companion plants. And that's just the perennials. I know lots of people who've been lucky enough to visit the garden, they all say how impressive and inspiring it is. Well worth a look, you'll find plenty to help you garden organically and sustainably.